ARE YOU MORE LIKELY TO DIE FROM AN OPIOID OVERDOSE OR A CAR CRASH? It may shock you, but recent studies show you are more likely to die from an opioid overdose than automobile accidents, falls or even a firearm assault. 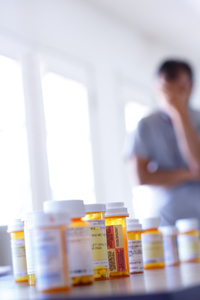 Pediatric emergency medicine physician Jennifer Plumb talks about the extreme dangers of opioids and how changing our way of thinking can make ourselves safer and smarter around the drugs. Interviewer: Dr. Jennifer Plumb is one of the founders of utahnaloxone.org and is also in pediatric emergency medicine at University of Utah Health. From what I understand, the chances of me dying from an opioid-based overdose now is greater than me dying in a car crash. That shocked me when I heard that. Does that shock you? Should I’d be shocked? Dr. Plumb: Well, you know, it doesn’t shock me because I spend a lot of time thinking about and educating about in this world, but it’s the truth. Right now, if you were to look at the most likely cause of death for yourself, an opioid overdose would surpass cars, would surpass guns. Interviewer: Some of this other data that had been released also says that you’re more likely to die from opioids than falls, drowning, or even a gun assault. And again, these are all things you hear about all the time. Interviewer: We think this is the big threat, but it’s actually that little bottle of pills in your medicine cabinet. Dr. Plumb: Right. Well, or think about your family members, the children in your home, the people around you, as well as yourself, the things that you would be most concerned about, and I’ll tell you, when I speak with families about keeping their kids safe, it isn’t always on the top of their list of things that they worry about. They think about helmets, and they think about gunlocks, and they think about car seats. Dr. Plumb: Really important, smart things that we should all have in our homes. We should all have fire extinguishers. But for whatever reason, we have not been as astute and as knowledgeable about opioids and their potential risk in our homes and in our lives. We’ve gotten to this dreadful point. Dr. Plumb: More illicit substances. Dr. Plumb: So all of the opioids get lumped together when we look at data, and, personally, I think that’s appropriate. It really is the substance that’s killing someone. And if we go down the path of saying, “Well, you know, pain pills, that’s different than heroin,” we go down the same path of not acknowledging that, actually, those substances are very chemically similar, and they lead to overdose the same way, and the overdose death risk is equally high for them, and you respond to them the same way with having naloxone. So I think that, for all of us as society members, the key here is thinking about these substances in the same way we think about other risky constructs. So peak car crash deaths were in 1972. That’s when we lost the most Americans to car crash fatalities. Think about all the things that have happened since then. We’ve put in airbags, and we’ve put in the brake lights. I think they’re referred to as Dole lights. We have campaigns about getting people to drive smarter, Click It or Ticket, Arrive Alive, zero fatalities. We have a lot more cars on the road and a lot more people driving cars, but we have decreased those deaths. We need to start thinking about opioid substances in the same way. How do we make ourselves safer and smarter around them? How do we limit our exposure to the riskiness of them? And how do we be prepared for a worst-case scenario? Which, I think, every time that we have a new way of looking at this crisis, and every one of them is horrifying, they come out and our life expectancy is going down. We’re losing now 72,000 people in 2017 in the United States to opioid overdose deaths. That’s 197 people every day. That’s a 737 falling out of the sky every single day. Right? Dr. Plumb: I mean, it’s enormous. And so we have to be thinking about these substances in ways that I don’t want everyone to think, you know, I’m calling fire in a theater. I’m actually really asking to be smart. If you do have these in your world, be prepared. What does an overdose look like? How do I respond to an overdose? What if that overdose was in my child? What if that overdose was somebody else around me? And then, if I’m going to allow these substances into my world, do I need them? So, if you have a physician, a clinician, a prescriber wanting to put opioids in your home, in your life, ask a few things. Is this really necessary immediately? Do we need narcotics? Tylenol and ibuprofen are great options. Physical therapy, occupational therapy, mindfulness, acupuncture, acupressure, yoga, all of these have been shown to really help with pain. Should we look at those strategies first? OK, we think we might still need those. I have a brother who died of a heroin overdose. Does the fact that addiction is in my family make us any more concerned about bringing narcotics into the home? Have that dialogue. Then, finally have the dialogue, if it really does seem like they think that’s the next big strategy, what’s your plan to get me off of this in five days? Because in seven days, you can start having a dependence risk. In seven days, you can start developing that physical dependence on a substance that means that maybe in seven months you won’t be able to stop. Interviewer: Yeah. Or I’ve heard like if it’s a 28-day supply, and 28 days coming off that could be just as hard as coming off if you were on illegal narcotics. Interviewer: Yeah, especially with such dangerous substances. And I think one of the traps that we might fall into is, “Oh, I have a prescription for these drugs. I’m not an illegal drug user. So it’s somehow safer.” But as you said earlier, you got to judge the substance. The substance is the same regardless of how or why you’re taking it. Interviewer: And now it’s in your world, so what are you going to do to be safe about that? So I think that’s a great point you bring up. Talk to your physician if they’re going to recommend those if you have a procedure coming up or whatever. Ask those questions that you asked. If you have somebody in your world that’s a drug user, then you should also have naloxone around, because even if they’re off now, they could relapse. Dr. Plumb: Absolutely. And it is just like, to me, it really is just like a fire extinguisher. You have a kitchen. That means there’s heat. That means there could be fire. Having a fire extinguisher is smart. It’s safe, it’s OK. Same thing, you have opioids in your world, whether it’s for yourself or someone around you, you should have naloxone as well. Be prepared for that just-in-case scenario. 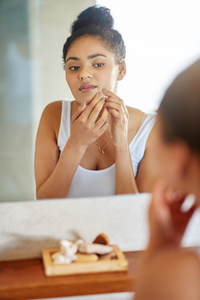 Acne can happen at any age, even as an adult. 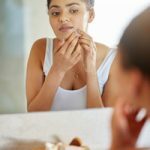 On this “Health Minute,” David Smart shares some ways to fight those breakouts and how to know when it’s time to visit your dermatologist for more serious treatment. 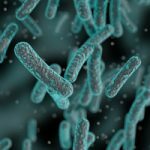 We’ve heard about it in the news and it sounds important, but do you know what your microbiome is? 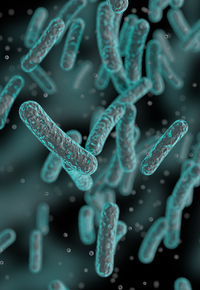 On this “Health Minute,” Kathleen Boynton, a gastroenterologist at University of Utah Health, talks about the microorganisms in your gut and how they may play a bigger role in your health than we originally thought.